Community groups in Australia and New Zealand had the chance to be the first to get on board a growing global giving trend dubbed #GivingTuesday. Giving Tuesday, held on the last Tuesday of November, is as an antidote to the consumer excesses of Black Friday and Cyber Monday. Those days have become global online shopping sprees that kickstart Christmas spending across the internet. Australia’s place in the world’s time zones means charities and not-for-profits here were the first to use the hashtag that’s set to trend across the globe. Our Community’s fundraising enterprise GiveNow – the country’s lowest-cost donation platform and host to the CrowdRaiser tool for supporter fundraisers – is an official partner of the event, which has continued to gather momentum since kicking off in 2012. GiveNow Executive Director Cathy Truong said #GivingTuesday is a great opportunity for not-for-profits to cash in on a global trend based on good intentions, while connecting with their supporters before one of the most important giving seasons of the year. Ms Truong said there were a string of good reasons for GiveNow to join the movement and help its thousands of causes. “It's an international movement that's open, collaborative, and aimed at the small to medium not-for-profit community groups, to celebrate the generosity of their communities,” Ms Truong said. GiveNow has hosted a GiveNow Week for nearly a decade, but Ms Truong said it now made sense for the platform to fall into sync with the global #GivingTuesday movement. 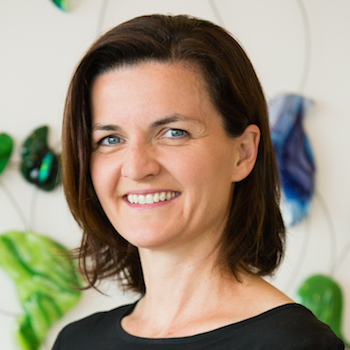 “One exciting aspect of this is being first off the rank after Tonga and New Zealand, with causes able to use #GivingTuesday as a platform for recognition as a well as fundraising. “In 2017, the event raised almost $300 million in one day – about a dollar for every person in the USA. If we matched that in Australia we’d be looking at more than $25 million,” Ms Truong said. While she didn’t expect the amount raised would exceed GiveNow’s end-of-financial-year donations peak, the event had its own appeal, she said, not least by giving people a fundraising deadline. 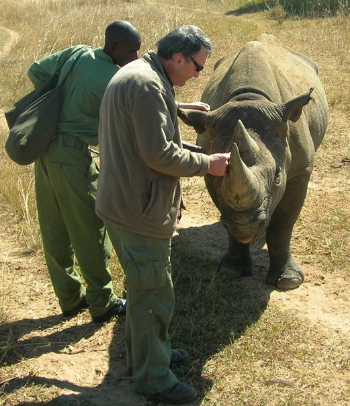 Nicholas Duncan has waged a 31-year campaign to save endangered Rhinos. Among GivingNow causes that joined the #GivingTuesday campaign were rare genetic condition charity AusEE (read our profile here) and the Perth-based the Save African Rhino Foundation. SARF president Nicholas Duncan says the organisation has been one of the biggest donors to the effort to save the rhino from poachers since it was formed 31 years ago, but it is the first year they’ve raised funds this way. “We’re not big on technology, and we don’t use Instagram or Twitter, but we’ve got a Facebook page, and we raised enough money to buy essential equipment for our anti-poaching effort”. Mr Duncan says the foundation’s decision to get involved in #GivingTuesday follows an urgent message from their rangers about the need for equipment. The $4000 raised will fund solar panels and batteries for a ranger’s station and living quarters at their base in the Save Valley Conservancy in Zimbabwe. “It will make a difference,” he says. He says the rangers will now be able to charge phones, cameras and crucial tracking equipment in their fight against poachers and their evil trade. Surplus funds will add concrete tables and benches to the rangers’ outdoor kitchen. While basic, those facilities “will be a real improvement to rangers who put their lives on the line on patrol”. He says the money raised was relatively small, but significant, and was enough to ensure the organisation would on board again next year. Of course, the organisation will continue other campaigns to raise the estimated $400,000 it needs each year to keep rhinos safe. GiveNow recorded a 50% hike in one-off donations on #GivingTuesday, showing the global social campaign really is having an effect. Ms Truong said the total value of the fresh donations wasn’t big but the spike in one-off donations may indicate new donors joining the fray on the back of social media. Ms Truong said #GivingTuesday should prompt community groups to contact their members ahead of the Christmas season to take advantage of the year’s second-biggest giving period (the end of the financial year is the biggest). “You’ve got to ‘do the ask’. You can’t get past the fact that very few organisations ask their supporter base for help, for donations. It’s one of the biggest things overlooked by organisations,” she said. While larger charities were well versed in fundraising – including hiring professional fundraisers – smaller organisations often failed to take advantage of their biggest supporters. “You've got a loyal supporter group and they’re really accessible, because you’ve already got their email addresses and their mobile numbers, and they are probably following you on social media,” Ms Truong said. The end of the year is also the perfect time to alert your members to what you’re planning for the future. “You've got a great opportunity to look forward to next year and to tell your supporters what you really need, whether it’s a new program, new equipment, or capital improvements.